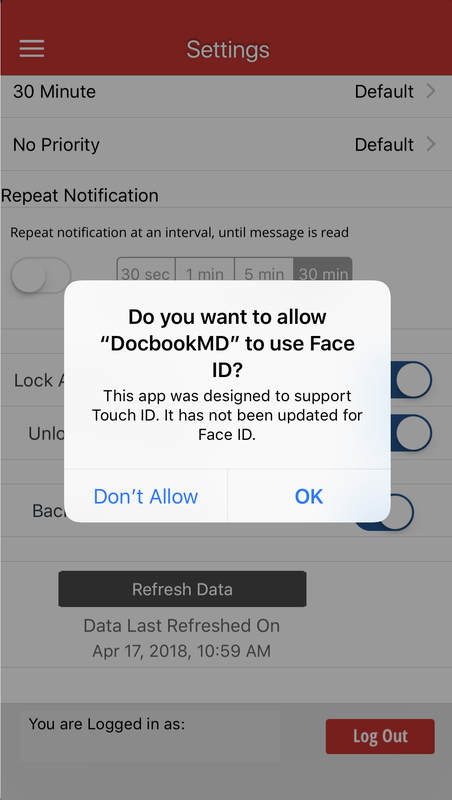 Enabling Biometrics in your DocbookMD app will allow you to log in quicker. Fingerprint login is available on the iPhone 5S and later, as well as newer iPads. Facial recognition is available on the iPhone 10. In order to enable biometrics, you will need to enable your PIN. When logged in, go to your settings and scroll down. 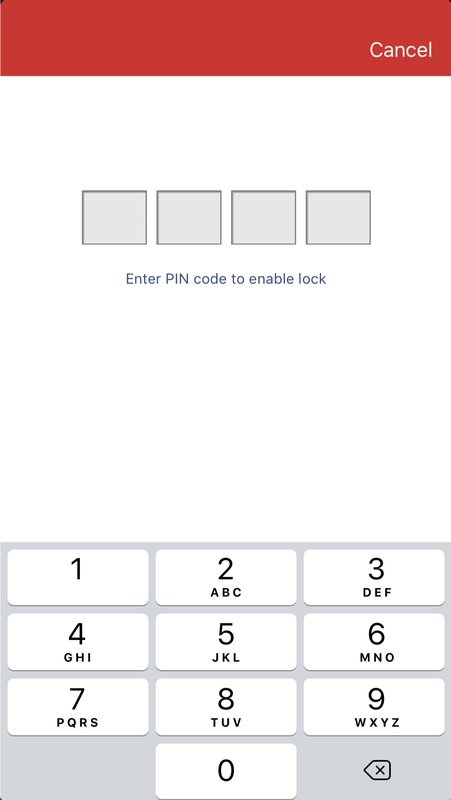 The “Lock App with PIN” option will be at the bottom. Move the slider to the right to enable PIN. You will be asked to Enter a 4-digit PIN and verify it. 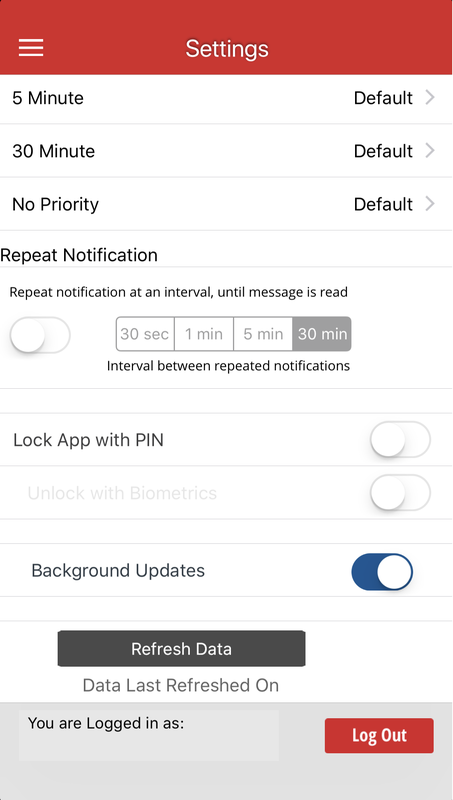 Once this is done, you will have the option to enable “Unlock with Biometrics”. 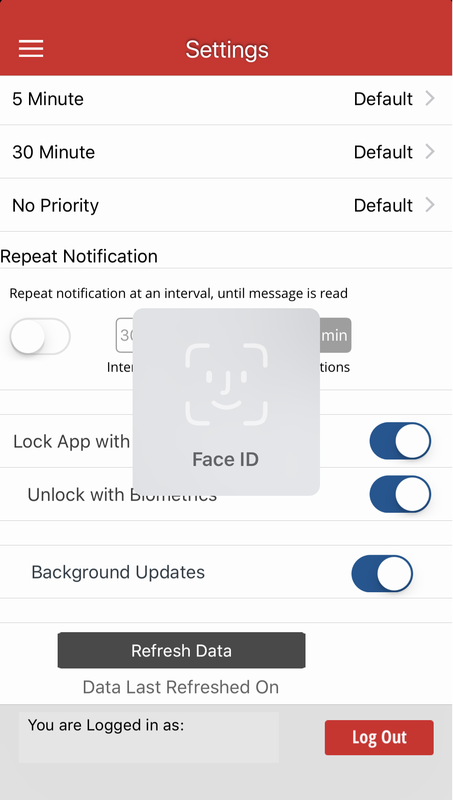 For Face ID, you will be given a confirmation message. Click OK to enable. The app will verify your identity and bring you back to the settings menu. For Touch ID, you will be asked to verify your identity. Once that is complete, you will be brought back to the Settings menu. 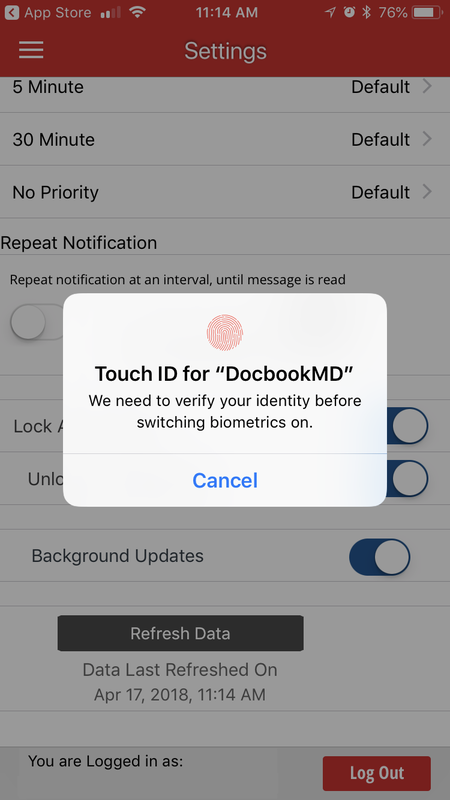 After you have completed the steps, you will be able to use your chosen Biometrics to log into DocbookMD.